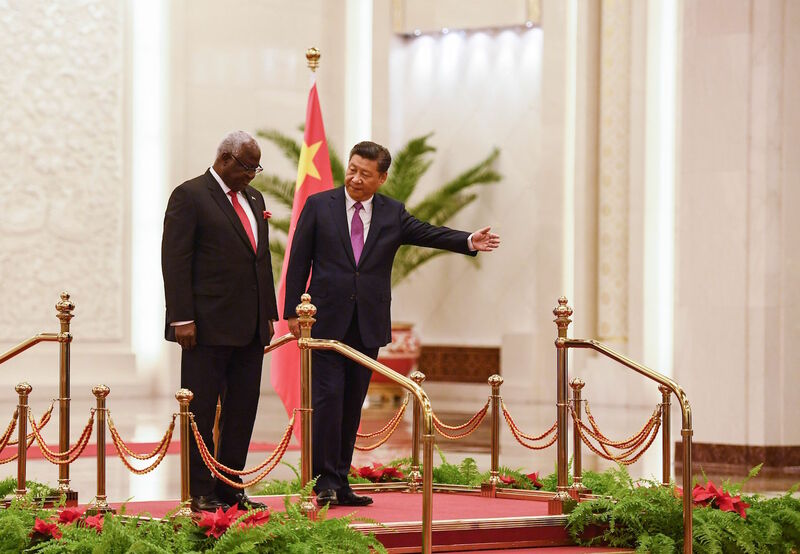 Chinese President Xi Jinping (right) leads the way for Sierra Leone President Ernest Bai Koroma during a welcome ceremony in the Great Hall of the People in Beijing, December 1, 2016. After years of relatively trouble-free development, 2016 marked a turning point in the China-Africa relationship, amid turbulent changes in the global economic and political order. China increased its deployment of combat troops to the continent, suffering some its first casualties in South Sudan and Mali, while trade between the two regions decreased for the first time in years. Meanwhile, China dangled promises to finally outlaw ivory as Africa’s elephants suffered another brutal year at the hands of poachers. China in Africa Podcast hosts Eric and Cobus look back at an eventful year in Sino-African ties and discuss what’s ahead in 2017, in particular how the presidency of Donald J. Trump in the United States could impact China’s engagement in Africa.